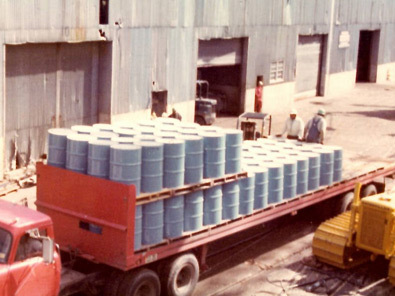 Across the United States, all of North America, and around the globe, warehouse and distribution companies, trucking firms, and 3PL enterprises leverage the multitude of benefits that our drum and barrel handling equipment has to offer. Engineered for ergonomics and safety, our equipment makes the job of lifting, transporting, dumping, and maneuvering drums easy and efficient. The variety and versatility of our steel, plastic and fiber drum handling equipment provides hundreds of different ways to move, pour, weigh, rack, and palletize drums to make your warehouse or distribution operation more efficient. Our portable products range from economical hand trucks to fully powered lift, lower and position devices with custom configurations and capacities up to 1,000 lbs. We manufacture standard duty forklift-mounted drum handlers as well as versions built for continuous, heavy-duty usage. Along with single-drum and double-drum hoist mounted drum handlers, we build hoist and crane attachments that handle up to eight drums at a time. Our complete range portable, forklift, and below-the-hook and hoist-mounted drum dumpers provide easy maneuverability and dispensing. 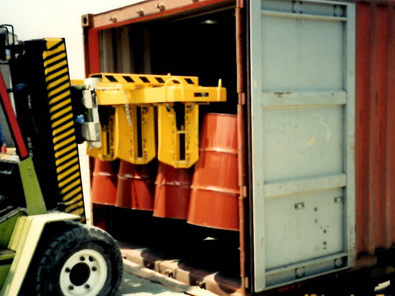 We also manufacture drum handling equipment for specialty applications. 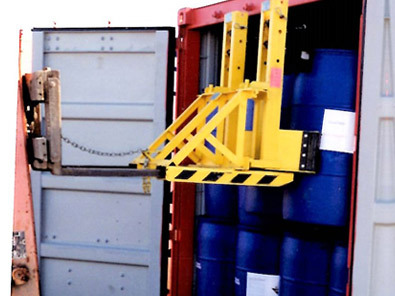 In addition to building custom and semi-custom equipment for handling odd-size drums, barrels, spools and cylinders, we offer stainless steel drum handling equipment for food and pharmaceutical applications as well as spark-resistant models for use in Class 1, Division 1 hazardous areas. With our ROI consulting, on-site demonstrations, and free trial policies, at Liftomatic Material Handling, Inc. we ensure that you have the right equipment to do the job. Your warehouse workers and shipping/receiving staff will immediately recognize the benefits, and your productivity will improve in no time. Contact us directly to learn more. 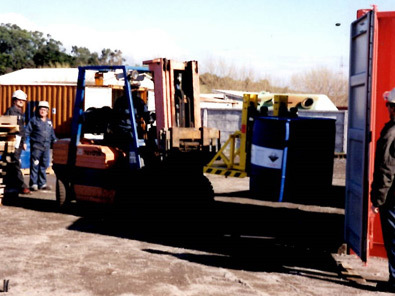 Forklift attachments for handling steel, fiber and plastic drums and barrels. Mechanical equipment to handle 1-8 drums at a time. On-site demonstrations, trial policies and ROI analysis.